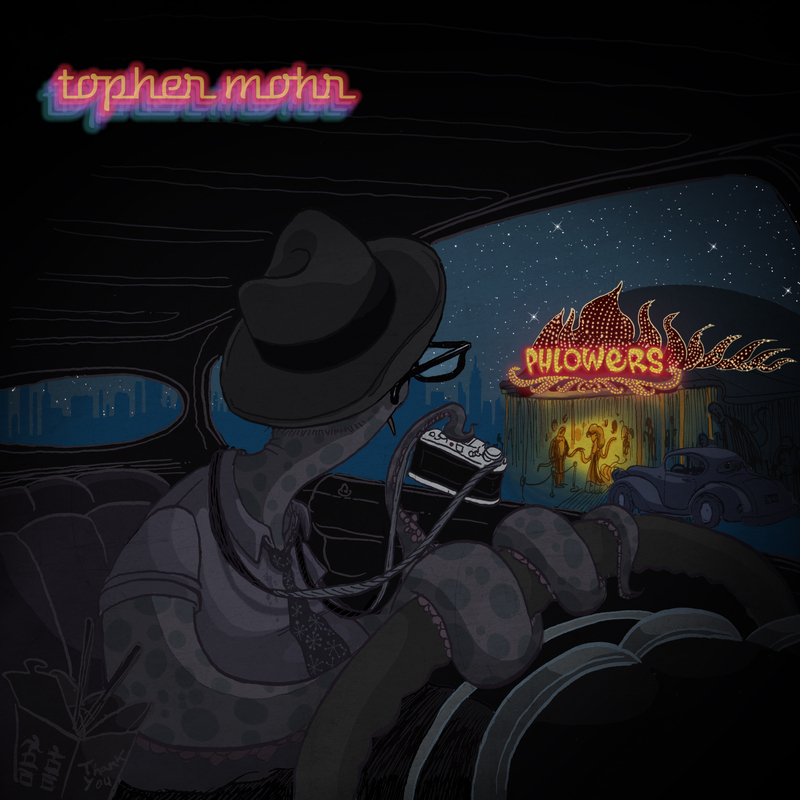 This is the cover for PHLOWERS, the new album by the great Topher Mohr. In the artwork for his first record Phlotilla, a flight attendant with tentacles invited us to take a long trip to her world. Now we are there, surrounded by shady characters and corrupted neo-noir dives.